View cart “Dermaceal Light” has been added to your cart. 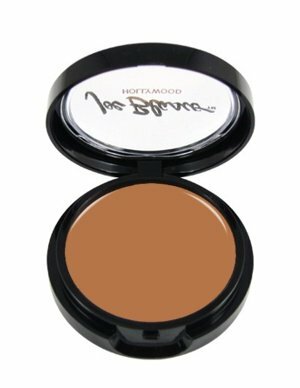 Dermaceal is a highly pigmented concealer that is used for intense skin discoloration and minor scars. This product is water resistant and available in Light, Medium, Dark, Red Away and Blue Away. Blue Away: conceals black eyes, bruises and dark birthmarks. DERMACEAL are extremely high-pigmented cream products that conceal intense skin discolorations such as port wine stains, varicose veins, freckles, age marks, brown pregnancy mask, leukoderma,sunburns, broken capillaries, and birthmarks. Excellent for concealing postoperative bruises and other medical conditions. Joe Blasco Corrective Products used to alter the light reflection from the skin’s surface to create the illusion of re-contouring, Joe Blasco cream shading and highlighting products have been an industry favorite for decades. A “foundation” is not just a basic application of base to the skin. A proper “foundation” also includes correction of any imperfections on the skins surface including blemishes, under eye circles and discoloring/spottiness. The unique line of corrective products from the Joe Blasco line can achieve this correction.